With a legacy of over 40 years of educational excellence, Dunecrest American School is Esol Education's new flagship school in Dubai. Learn more about our heritage. We are privileged to have superb educators as part of our teaching team at Dunecrest! Meet our teachers and learn more about what they love about their jobs! What is the Dunecrest Experience? 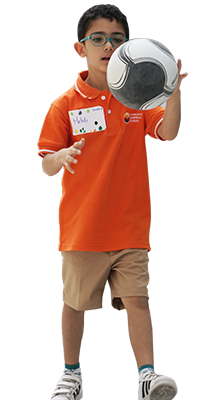 Take a look into a day in the life of a child at Dunecrest American School in Dubai. We are now accepting student applications for the 2018-2019 academic year. Discover our admissions process or enroll online right away! With the Creative Curriculum® in Pre-KG and KG1, AERO Plus Common Core standards till Grade 10, and the IB Diploma Programme® in Grades 11 and 12, Dunecrest's powerful academic program provides students with the best preparation for university and career success. View our grade by grade guide here. At Dunecrest American School, we will surround our students with opportunities to flourish and extend their learning with a range of interesting activities. From whole-school commemorations to in-class celebrations, life at Dunecrest is varied and busy, with something new happening every day. Learn more. We want to know all about activities that inspire you. Share school work, project ideas and educational finds that you think we would like! We're always listening! 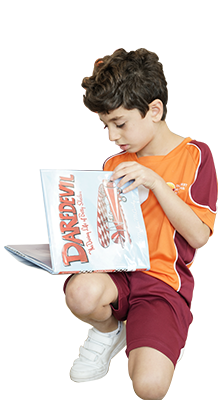 At Dunecrest American School in Dubai, we promote the values of brave curiosity and diligent effort as the keystones of helping students flourish as learners in their pursuit of academic excellence. Our coursework, from Pre-Kindergarten through grade twelve, provides meaningful and challenging opportunities for both individual and collective achievement. We empower students with the desire and the means to reach their highest potential. 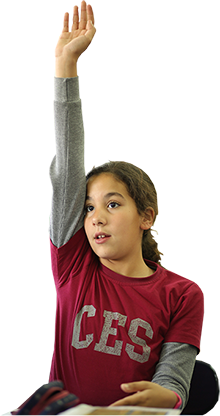 We want students to be able to take a question that’s really compelling in the world or in their lives, and have many tools with which to help them answer it. Our Early Childhood Program in Pre-KG and KG1 follows the research-based American Creative Curriculum®. Our KG-12 standards-based American curriculum follows the AERO (American Education Reaches Out) standards set by the Department of Overseas Schools, part of U.S. State Department of Education, also aligned with the Common Core, utilizing a cross curricular approach. Students in Grades 11 and 12 have the option of following the International Baccalaureate Diploma Programme®. Please do explore this section for an in-depth look into the academic program and learning outcomes at Dunecrest. 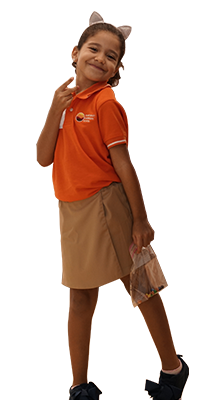 Dunecrest American School in Dubai offers a holistic and challenging American educational program founded on the values of academic excellence, creativity, independence, international mindedness, wellness, innovation and service. With experienced leadership, dedicated and caring educators and state-of-the-art facilities, Dunecrest inspires students to pursue their passions and become lifelong learners. 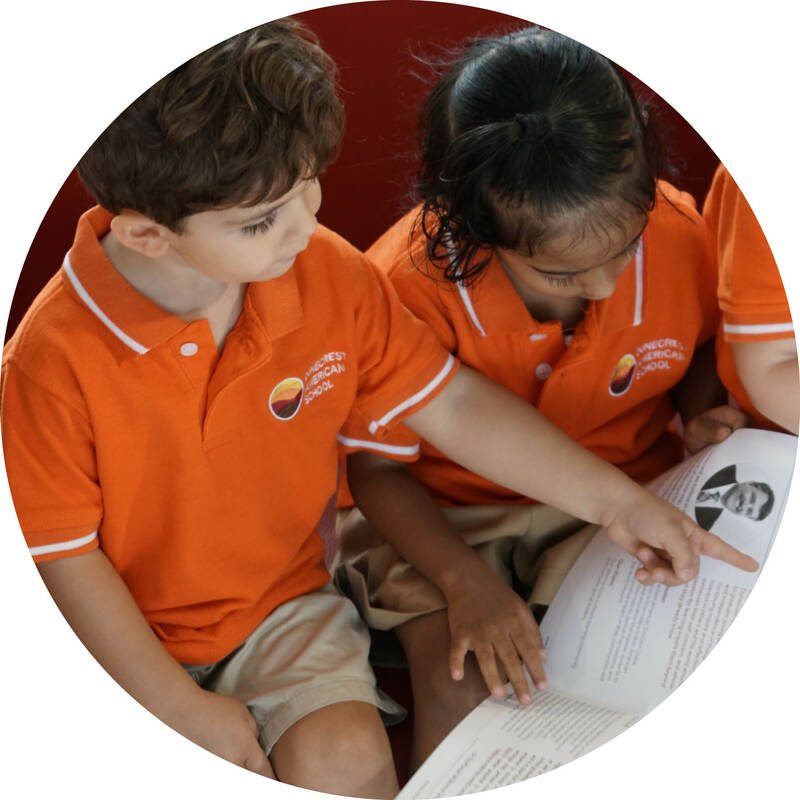 Dunecrest is Esol Education’s new flagship school in Dubai, part of a network of exceptional international schools around the world in locations such as Abu Dhabi, Hong Kong, Cairo, Nicosia and Lebanon. 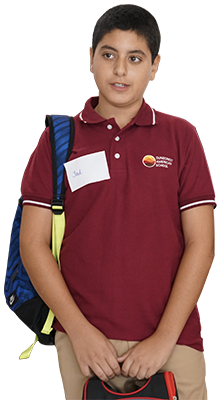 experience for your child, meet our educators and take a tour of our state-of-the-art campus. We hope to see you there! You can still apply for the current school year, start the application process and Apply Now. Our admissions team can answer your questions and assist you with the application process at any stage. Call us on +971 4 5087444 from 8 a.m. to 3 p.m. or email us on admissions@dunecrest.ae.